Top opening shutters are a more traditional look, they popular 10 years ago, but designs have changed and moved on. Shutters are now wider and have larger louvre blades, with this design shutters remain closed so you only need to tilt the louvres. Wide panels folded back in top opening design will not look as good. 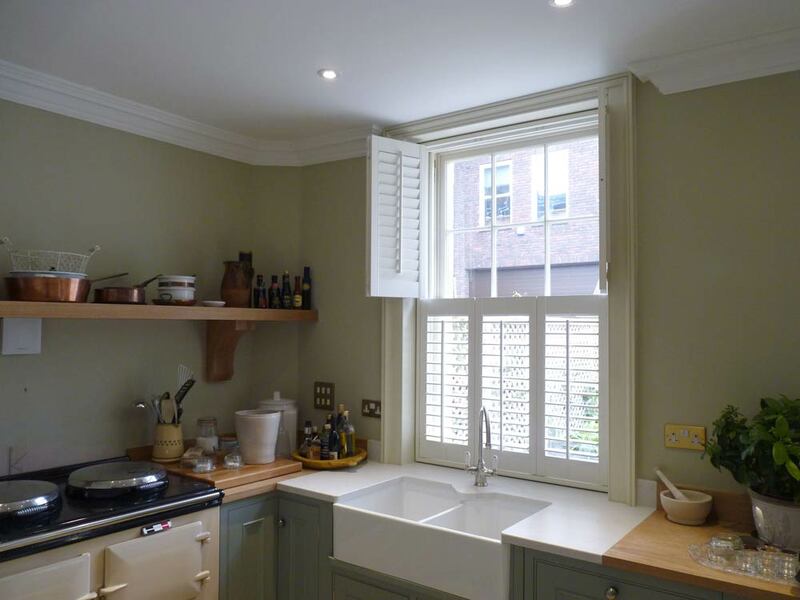 Typically, top opening shutters look best when they are bi-folded and they looked good with smaller louvres. Whilst top opening can look good in photos and in magazines, we find most customers we talk to don’t end up opening them, so advise the simple full height design instead. 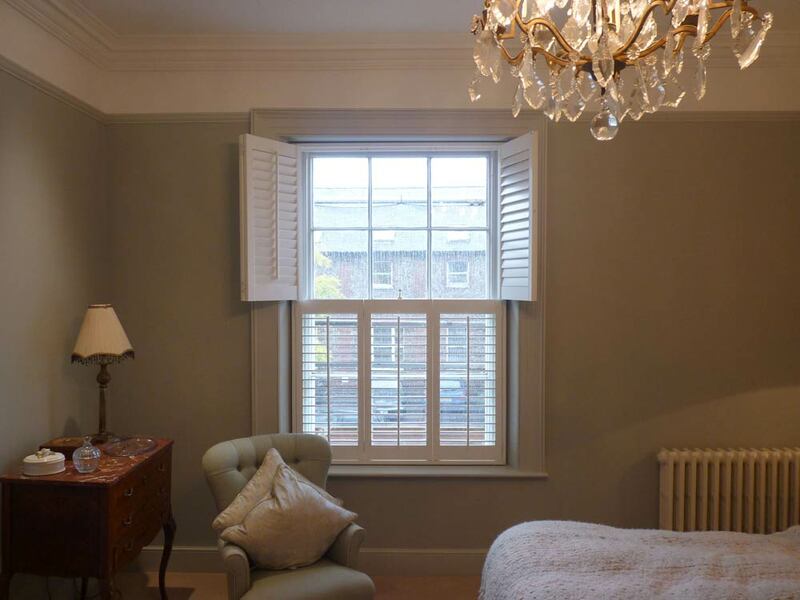 Top opening allows you to split the shutters in half so the top can open separately from the bottom (like a stable door), traditionally known as tier on tier shutters, they provide flexible privacy and light options for your room. Top opening shutters suit tall narrow windows. The number of shutters across the window is reflected in both the top and bottom tiers. They can be popular on Sash windows and they look at their best when the window is taller than it is wide (Portrait style), like a sash window. This split shutter option provides privacy whilst providing light. Ideal if you live on a street with a footpath just outside, or for overlooked bedrooms. 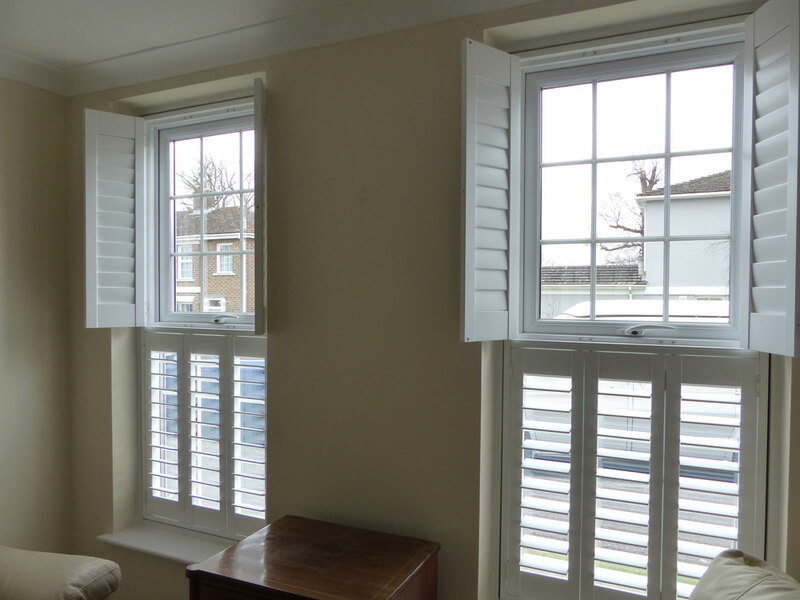 They fold in the same way as full height shutters, but the bottom set normally remains closed. 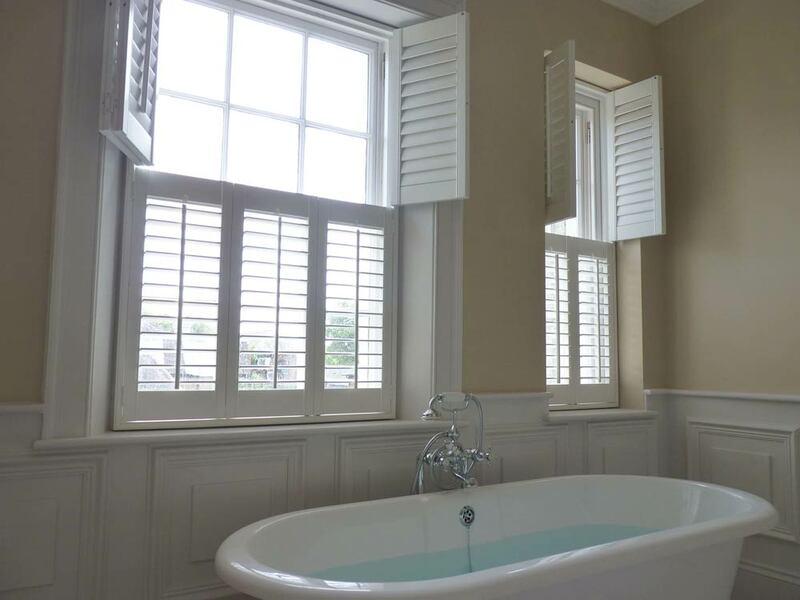 8 shutters is the most popular option, 4 across the top and 4 across the bottom. You can divide the top and bottom set by using a horizontal Tpost. This will make fitting and aligning the shutters much easier. The Tpost will provide support and magnets top and bottom so it’s like fitting two frames on top of each other. Note, there is a 1219mm wide limit when a horizontal Tpost is used. Wide windows don’t lend themselves to tier on tier, due to the extra weight and how the shutters will look when open so don’t use this design on wide landscape style windows! You can order multiple folding shutters in wood, i.e. 3 folding left and 3 folding right but we don’t advise this design with top opening. Windows that require this option are often too large, and the panels will want to drop. Don’t use MDF on top opening design, its heavy and the top set will want to drop and sit onto top of the bottom set.